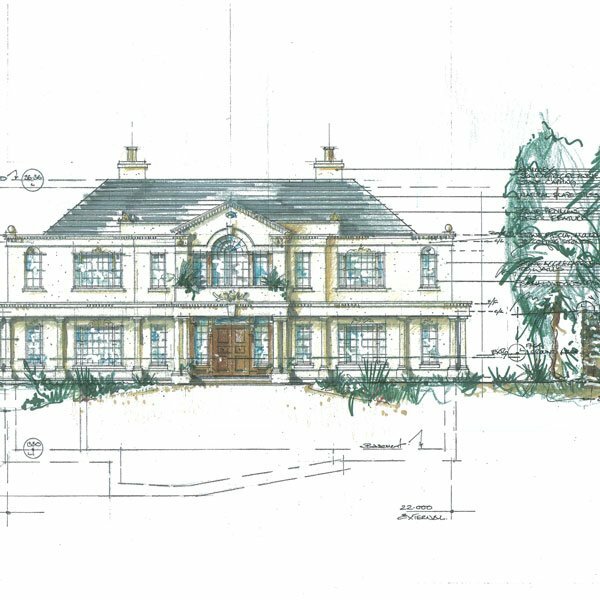 Extensive traditional masonry and stone-on precast units for the construction of a luxury residence in Surrey Materials Hartham Park. 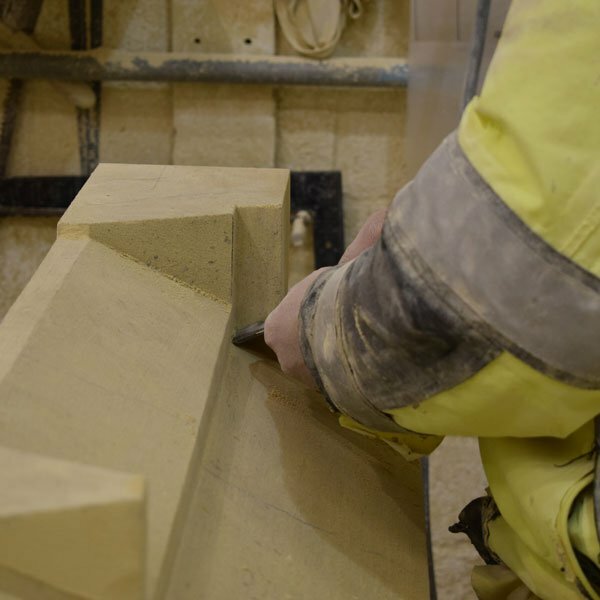 The project and its challenges: From the start, Orchard Gate drew on our ability to offer a comprehensive and fully integrated range of masonry and project management services. 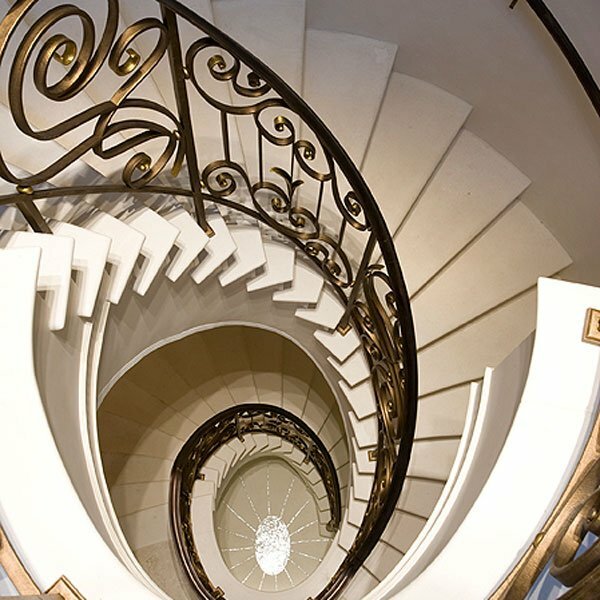 We worked closely with the architect and main contractor as the project evolved. 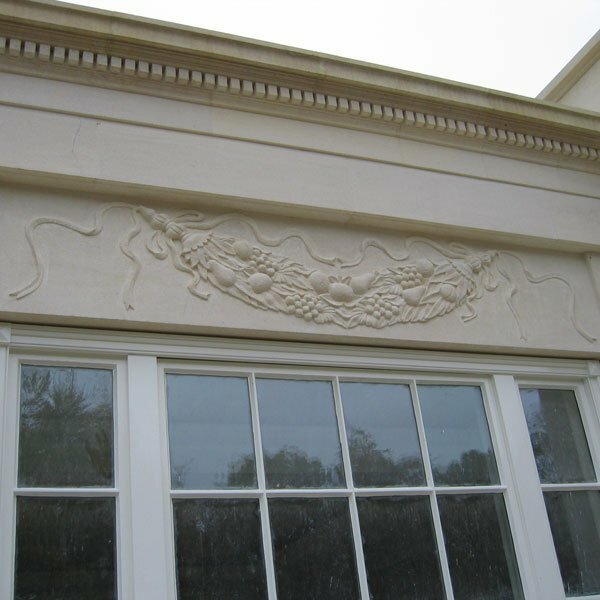 One particular technical challenge involved the creation of stone-faced panels to form the soffit of the colonnade around the property. 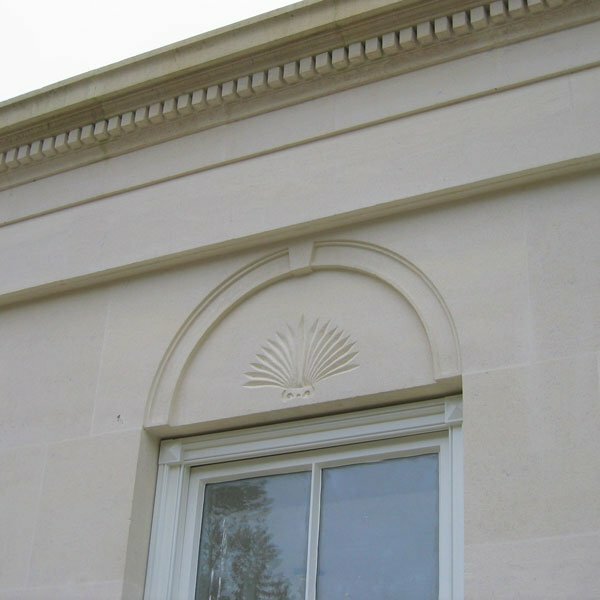 Several panels were used, each over four tonnes in weight. 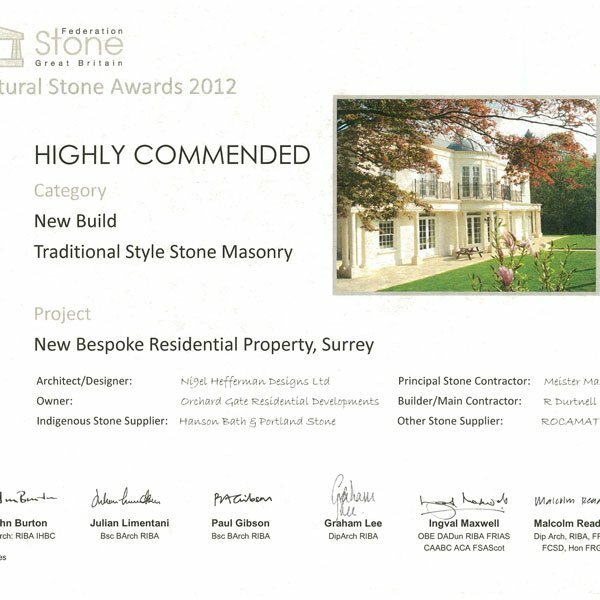 The quality of work on this project is exceptional and in 2012 we were proud to be presented with a Highly Commended Award from The Stone Federation of Great Britain. Client: R Durtnell & sons Ltd.